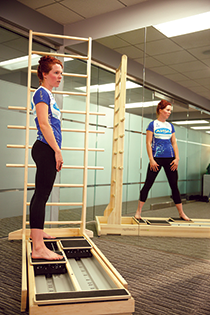 CoreAlign by Balance Body is designed to help patients improve posture, balance and functional movement. CoreAlign was developed by physical therapist Jonathan Hoffman. The exercises on the CoreAlign stimulate core stability while at the same time the user is performing challenging exercises. 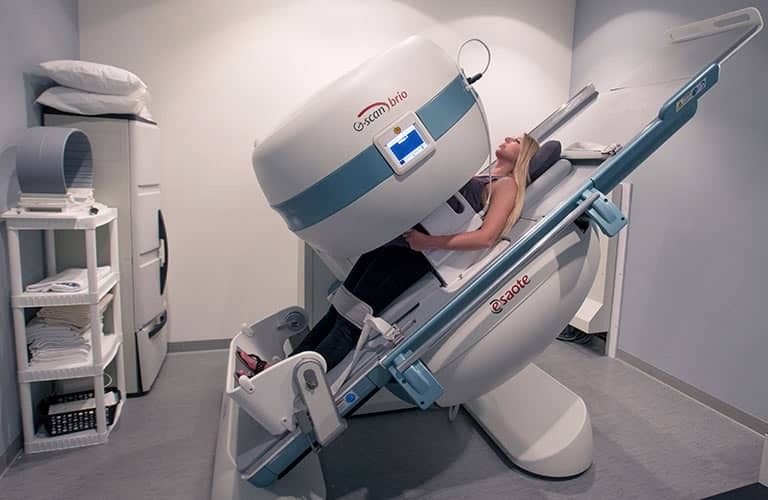 The CoreAlign can be used for musculoskeletal rehabilitation, performance enhancement, post-operative recovery as well as regular exercise for a healthy lifestyle. People walk upright. CoreAlign was designed with this in mind. CoreAlign is an exciting tool for gait training. 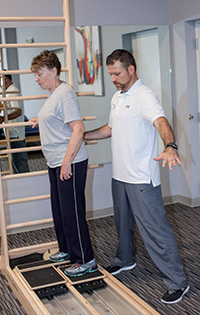 Because of it’s unique design, the upright standing position and use of individual carts on the CoreAlign, this provides optimal conditions for gait training. 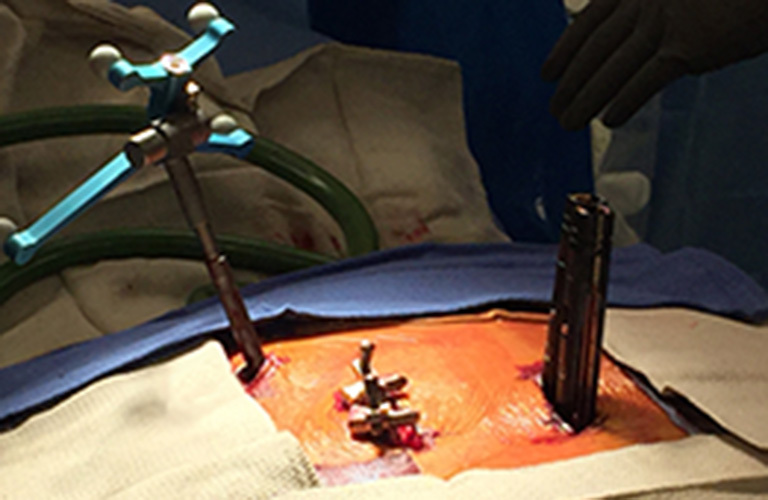 The CoreAlign frame is enclosed in two tracks and carts that move independently with smooth resistance. There are six elastic resistance tube assemblies on each cart and resistance can come from one or both directions. 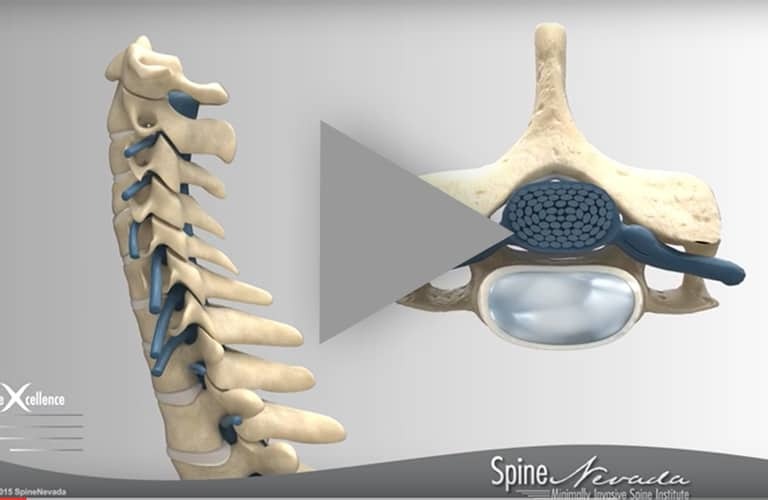 CoreAlign is also versatile, the resistance of the carts can be changed and upper extremity and torso movements can be added. The simplest moves on the CoreAlign improvise walking in a dynamic environment. The resource of CoreAlign for patients who have difficulty walking can help them reach goals not before imagined. Teal, shown in photo right, is a professional women’s cyclocross, mountain, superD and enduro racer. She is from Durango, CO and rides for LUNA chix. Teal suffered a back injury while training a few months ago. She has been working out in the SpineNevada physical therapy gym with Thais for the last two months. Since working out in the physical therapy gym she has noticed improvements in her core strength. Teal was referred to SpineNevada by another athlete, who had also attended the physical therapy gym at SpineNevada. One of the key features that sets SpineNevada apart from other clinics that treat back and neck pain is its spine-specialized therapy department. Patients will be connected with a spine therapist who has advanced training in techniques for spine. Thais Mollet, PT, DPT, and Torrey C. Schweickert, PT, MSPT of SpineNevada have skills and techniques that are specifically oriented at relieving back and neck pain. Learn more. In addition to spine therapy, Thais Mollet, PT, DPT has experience working with professional and amateur athletes, sports enthusiasts and weekend warriors. “It is my passion to work with athletes of all levels, we all have goals for our recovery. It is my job to help people achieve their goals,” Thais remarks.